Extracted names 07 Oct 2016 from the llinois Servitude and Emancipation Records (1722–1863) at the Illinois State Archives website. Circuit Court, Johnson County, Illinois, November term 1834. William BANYARD, a man of color, produced a certificate of sheriff of Johnson County, Illinois showing said William BANYARD had been kept as a runaway slave for one year according to law, and no claim had been made in response to advertisements. So, according to 2nd section regarding free negroes and Mulattoes Act as of January 19, 1829, William BANYARD is a free man unless claimed at a later date by a legal proper owner. Certified December 9, 1834 by John McINTIRE, Clerk. Certified by Thomas C. BROWN, Justice of Supreme Court of Illinois that John McINTIRE was clerk of said court and forms are by him. 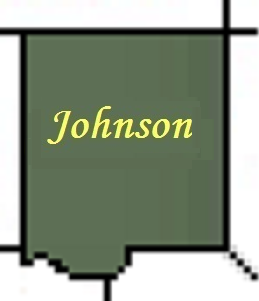 State of Illinois, Johnson County, January 19, 1833. William STAFFORD, late of Jackson County, Tennessee and now of Johnson County, Illinois, frees TOM, age about 35 years, whom he purchased from William WILSON of Jackson County, Tennessee. Certification, etc. recorded in Gallatin County, Illinois October 27, 1836. Johnson Co., IL, Jan. 19, 1833. William STAFFORD (as above) frees JENNY, age about 36 years and the wife of TOM, whom I purchased in the state of Tennessee, certified by John McINTIRE April 29, 1833. Recorded in Gallatin Co., IL Oct. 27, 1836.